What do you need to do to make sure your smile is truly protected against oral health threats? Effective care is about being thorough. 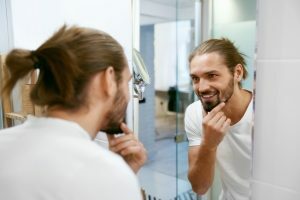 Thoroughness refers to the time and care you put into brushing and flossing your teeth, but it also means keeping up with good habits on a daily basis. After all, tartar can gather on teeth in less time than you anticipate. You can also expose yourself to more decay because of your diet – a sugar-heavy diet can make it tough to prevent a cavity from forming. In addition to taking care of yourself on a daily basis, you should seek regular dental exams. Your Bellaire, TX dentist’s office can keep you informed about the condition of your smile, and alert you when a problem has formed and needs to be addressed. Brushing effectively means taking the time to fully clean the surfaces of your teeth. Brushing with more force will not help you if you continue to skip flossing, or fail to reach areas in the back of your smile. You should spend at least two minutes on brushing, and avoid aggressive motions. Flossing each day can protect you against cavities and gum disease. Make sure you move the string up and down, to fully clean those areas between teeth. Are you putting your teeth at risk because of your weakness for sweets? Will your preference for soft drinks at meals spell trouble for your smile? Your food and drink preferences can have a real impact on your oral health. Limit sugars, and keep up with a varied, nutrient-rich diet. At Contemporary Dental And Orthodontics, you can look forward to thorough smile care when you have an appointment set. Our practice is ready to help families in and around the Bellaire, TX and Houston areas keep their teeth in top shape. We are also ready to help you if you have a problem that needs to be treated! For more information, schedule a consultation by calling Contemporary Dental today at 713-668-9119.